Heat olive oil in a big pot to medium temperature, then add shallot, garam masala, turmeric, ginger, curry leaves and curry powder. Cook for 1-2 minutes, stirring frequently. Add parsnip, lemongrass and a pinch of salt. Keep cooking for 5 minutes, stirring frequently. Add vegetable stock and bring to simmer. Cook for 10 minutes. Add pears and cook for a further 10 minutes. Transfer to a blender and puree on highest setting until you have a smooth texture. 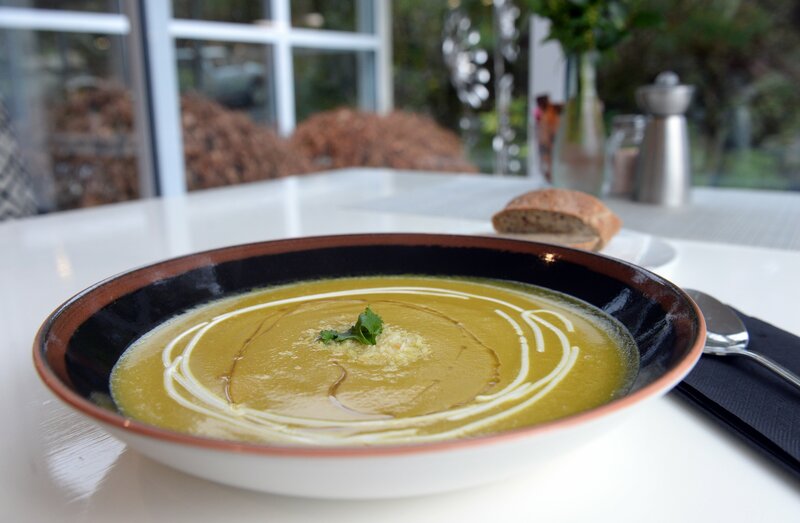 We serve the soup with caramelised pears, masala-infused olive oil, coconut yoghurt and toasted coconut. Recipe requested by Suzanne Bennett, of Dunedin. Recipe provided by Glenfalloch Restaurant.